This directly heated triode had a long career. It was in production from the late twenties until the mid fifties. The performance, especially the anode dissipation improved slowly over time, as the design as improved. These valves are still much sought after by the single ended triode amplifier enthusiasts and this is reflected in the high prices achieved for NOS examples on E-Bay. A single valve can produce up to 3.5 watts of Class A power. 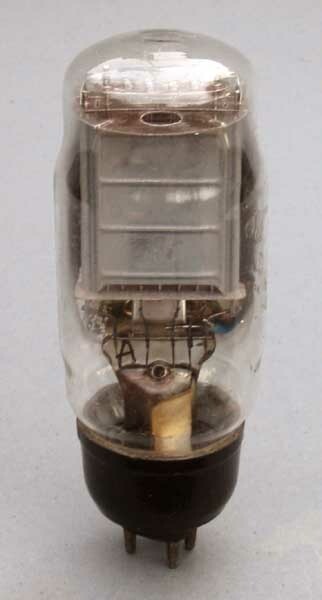 This Osram example was probably made just before WWII. Here are PDFs of the data sheets from the 1938-1939 Osram Valves handbook - page 1, page 2. If you want lots more about the PX4 then go to the excellent px4.org website run by John Pinner.